Edinburgh Rugby are understood to be on the verge of signing former Junior All Black Robbie Fruean from Bath – subject to medical. It’s set be new Head Coach Richard Cockerill’s second signing since taking their reigns from acting coach Duncan Hodge, and also his second centre after bringing Mark Bennett over from the Warriors. This will be welcome news to the capital club faithful who have seen their forward pack dominate over the past few seasons, but have been left wanting when it comes to tries – a paltry 46 were scored over the past season (Glasgow managed 72). The big back has spent long periods out over the past decade due of a heart issue, but he now looks to be back to fitness and has been in good form for the Somerset side. His pedigree is clear having represented the Crusaders 66 times scoring and 70 points in the process. and we almost forgot to mention, he sure can tackle! What do you think of the potential signing? Is this good news for Edinburgh? Let us know in the comments below. Good signing, not a great one. Looks like a liability when it comes to late hits. 2) history of injuries doesn’t inspire him as reliable. Presumably signed for Marky Mark Bennett’s expected long-term recovery, could end up with 2 out. Otherwise it’s a great signature though. Tough for Edinburgh to woo players I imagine after last season. This guy has a lot of potential and aside from his injuries, I don’t think he’ll have had the opportunity to play consistently that Edinburgh will be able to offer him. 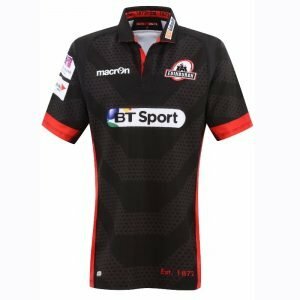 Physical too, fits nicely with my image of Edinburgh’s style of play and the Tigers under Cockerill (Tuiliagi a big crashing physical centre). He’d class when he’s healthy and he’s definetly worth taking a risk on. I’m a saders fan and I really wish he still played for us. What’s the point on wasting money on him. Playing 7s will take him away for a large part of the season and injuries will be another big thing. Cockers must have more guys in his little black book to contact.. If it’s a big investment then it needs to be a worthy player for club and country..
Great player, but injury prone. Damaged goods. Could drop dead mid-game. Doesn’t seem to fit a profile to be a hit with other players as choosing when he wants to play for Edinburgh and when he doesn’t. Injury and discipline concerns if so good why is he being allowed to leave. Scottish Rugby needs Scottish players accelerated through the development structure. Look at how well Warriors have done this with a vast arrray of young talent beng blooded, proving themselves, and going onto international honours . . . . .. lets look a bit closer to home eh???? You need players like this to make the side competitive and to help develop the young Scottish players. Glasgow got where they are using Fijians to make headway in the league and provide aspiration for the young Scots. It took a few years, its a structured process that requires time and the right types of player on and off the field. Everyone whining about him not being Scottish, use your brain for a second. Which young Scots do you want being put in a losing side before they are ready. Edinburghs pack is competitive, is backline is a shambles. Next season (all being well with fitness) they now have an international standard centre partnership. Robbie F is certainly international standard when fit and firing. That’s fine as long as he never plays for Scotland.